Question: Is he man or monster or…is he both? Answer: HE’S BOTH! OH MY GOD! 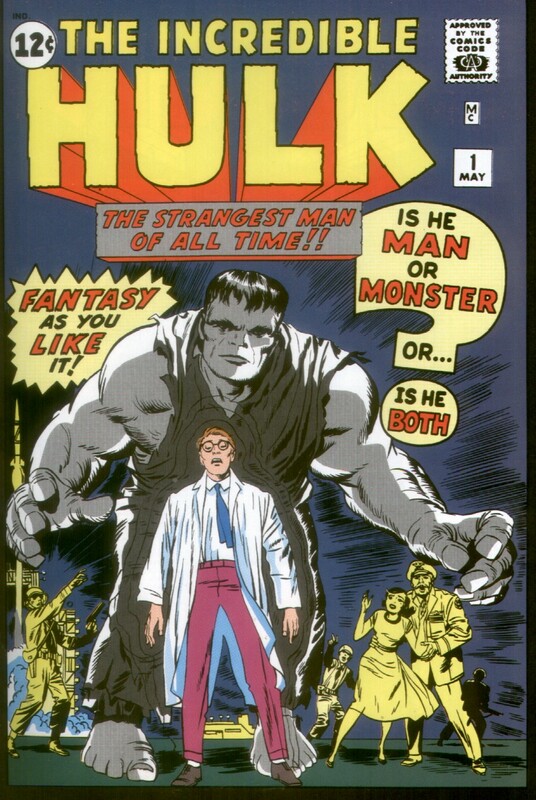 I have some comics from the 80’s where the Hulk is gray…but I know that I’ve seen comics in the 60’s where he’s green, so what’s the deal? After doing some research, it turns out that there were printing problems, so I was happy to see the Hulk turn his normal green color in the second issue (spoiler). As for the later gray Hulk – that will be intentional, but I have yet to discover what the Hulk differences are (I know there are several versions, even including a overly dumb Hulk and an impressively smart one). This is the Hulk I grew up with in the 80’s. Hulk’s actual origin, like most others, is a somewhat tragic event. He was caught in a gamma blast while trying to save a slacker teen. The most interesting aspect of it is that the weapon which turns Bruce into the monster is his own creation. He’s a brilliant man and I felt bad for him having seen the events play out as they did. Bruce is a pathetic, nerdy man, who has the hots for the General’s daughter. The General disapproves of Bruce ever getting with his daughter because he’s too much of an undisciplined wimp. 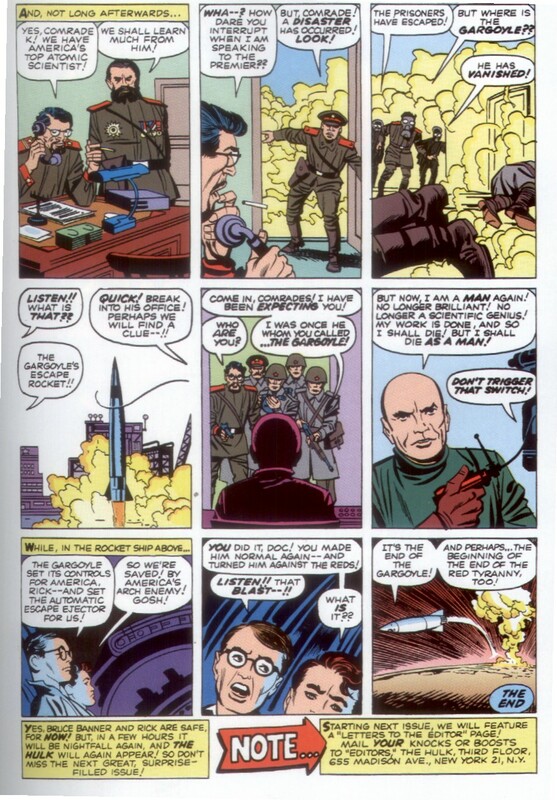 The interesting piece in all of this is that while the General sees him as a wimp, Bruce is hiding a persona which is ultimately the most powerful being alive. Remember the whole idea of the Hulk? A man transforms into a monster whenever he gets too angry? Well, not here. In the early days of the Hulk his transformation happened every single night. No matter what he did, he couldn’t escape the fact that the sun would set and that he would eventually become the monster. It was very much like a Jekyll and Hyde scenario. His transformation was also a little less drastic than it would eventually become, with him turning into more of a Frankenstein-sized beast instead of the green behemoth that I’m used to seeing. The Hulk runs rampant throughout the rest of the story, scaring people, crushing guns with his hand, and even walking away after a jeep smashes right into him. 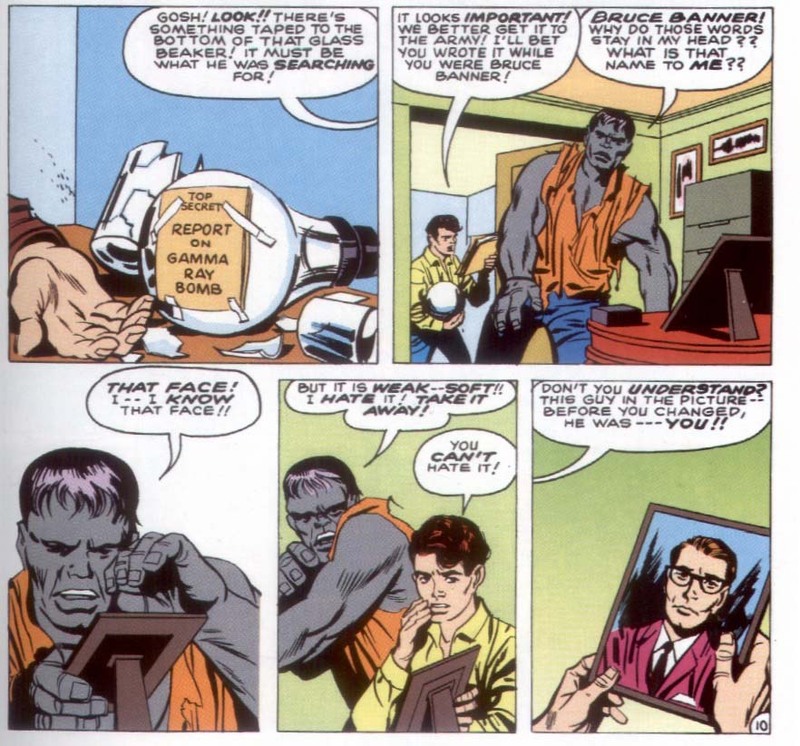 It’s very horror-like with him on the loose, but the story takes a dramatic turn once he sees a photograph of Bruce. That is the single moment of the story that got me hooked (because I never really cared for the Hulk that much before). 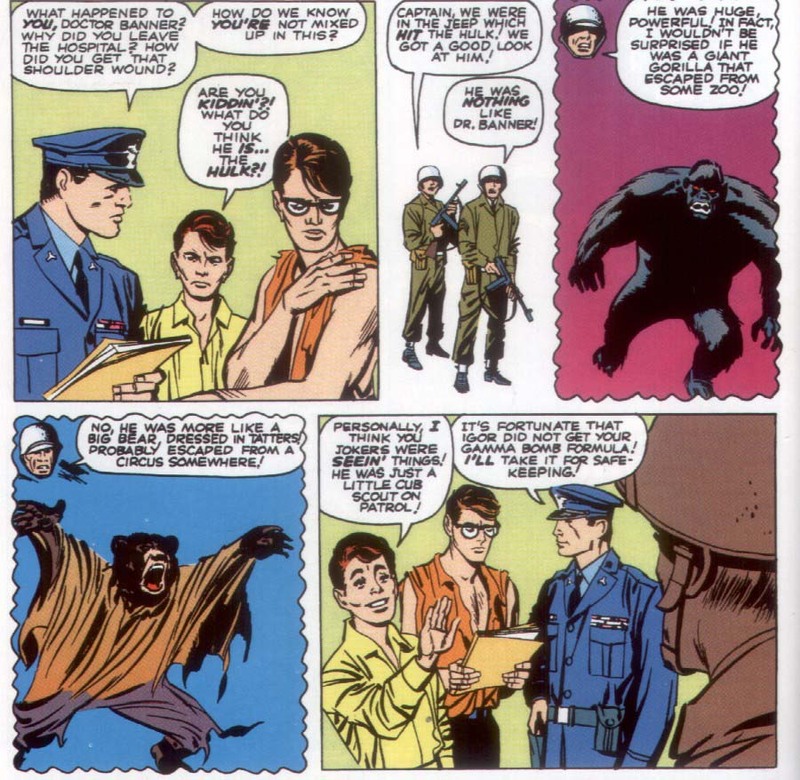 Throughout the story, the teen that Bruce saved follows him along, claiming that he owes him his life. He makes some witty comments on the side, bailing Bruce out of situations where he might it might be discovered that he is, in fact, the Hulk. One funny part comes shortly after the first Hulk transformation. Several army men are describing that they saw the Hulk. From their perspectives, it was either a gorilla, or a bear dressed in tattered clothing. Pretty funny stuff. Good thing nobody noticed Bruce is wearing the same clothes as the bear. Bruce eventually ends up dwelling on the fact that he is doomed to become the Hulk again during nightfall, and it’s painful to see his uneasiness about the inability to stop it. The end of the story caught me off guard a little. Earlier, one of Bruce’s coworkers tried to steal the secret method of constructing the gamma bomb from him. He was unsuccessful, got caught by the Hulk, and ended up in prison. While this man sits in prison, he uses an implanted fingernail device to communicate overseas to the Soviets (again, more Communist stuff). He reaches this bizarre mutated leader known as the Gargoyle (who is far more horrific looking than the Hulk) with a message telling him about the existence of the Hulk. 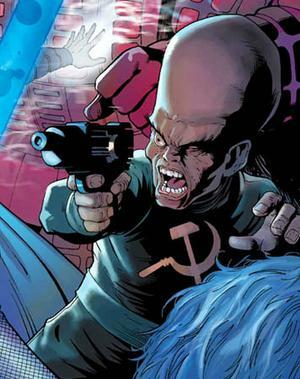 Intrigued, the Gargoyle comes to America in a missile, and kidnaps the Hulk, taking him back to the USSR. He’s not called The Gargoyle for shits and giggles. Do they not understand how tragic this is? There’s no remorse or thanks given towards the Gargoyle, and instead we are left with them EXCLAIMING, “It’s the end of the Gargoyle!” in the VERY last panel. What the hell? He sacrificed himself for YOU!